ST. GEORGE – A dedication to music and sharing it with the community are the founding values of the Southwest Symphony Orchestra and Chorale, values that have endured through its more than 30-year history. The symphony was founded in 1980 by Dr. Norman H. Fawson, a medical professional and hobbyist musician from St. George, along with Irene Everett, director of the Dixie String Ensemble, and Dr. Ronald Garner, chairman of the former Dixie State College of Utah music department. They were inspired to create a local venue for musicians to share their talent with the community, enriching the area’s cultural and arts offerings. The symphony was partly modeled after both the Salt Lake and Utah Valley Symphonies but had many unique facets to its development, including a youth music education program formed in cooperation with the City of St. George and Washington County School District; to this day, symphony members volunteering as teachers serve over 1,000 local students as part of the program. 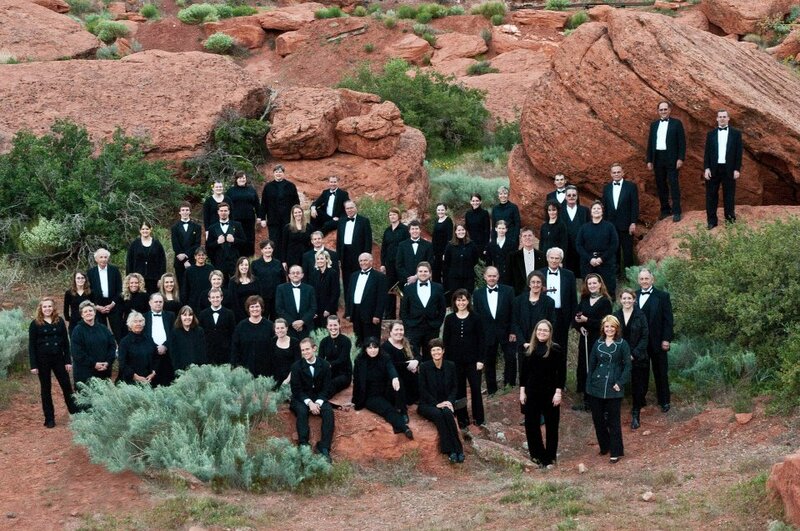 In 1981, the Southwest Symphonic Chorale was created to accompany the orchestra. Ties to Dixie State created a mutually beneficial relationship for both the institution and symphony, allowing DSU student musicians to gain performance experience while earning class credit. Gary Caldwell had arrived at the college in 1979 for his first year of teaching music. Passionate about playing as well as instructing, he was immediately interested in Fawson’s idea of forming a symphony. He was appointed principal trumpet and stayed in that role until 1989, when he became musical director and conductor, a position he still holds. With Garner as its first conductor, Everett as concertmaster and Fawson playing viola, the 23-piece ensemble began rehearsing weekly in the basement of the then newly-constructed City of St. George office building. The St. George Tabernacle served as the symphony’s first permanent home, where it provided five concerts per year until 1988. “Handel’s ‘Messiah,’ in cooperation with the combined Dixie College choruses, Community Chorus and the Southwest Symphony Chorale – all under the direction of Howard Putnam – was always a highlight of the annual season performances,” Fawson said. Over the ensuing years, the symphony worked closely with Dixie State to fund and build the original Dixie Center (now a part of the DSU campus) and the $200,000 acoustic shell of the Cox Auditorium, which, when complete, became its official home. “The changes over 30-plus years have been great. Overall, the symphony has grown both in quantity and quality,” Caldwell said. Currently, over 70 musicians (including Fawson, who hasn’t missed a performance in more than three decades) play in the Southwest Symphony’s seasonal seven-concert schedule. Performances encompass a wide variety of themes and genres, combining classical and popular music with frequent guest performers. 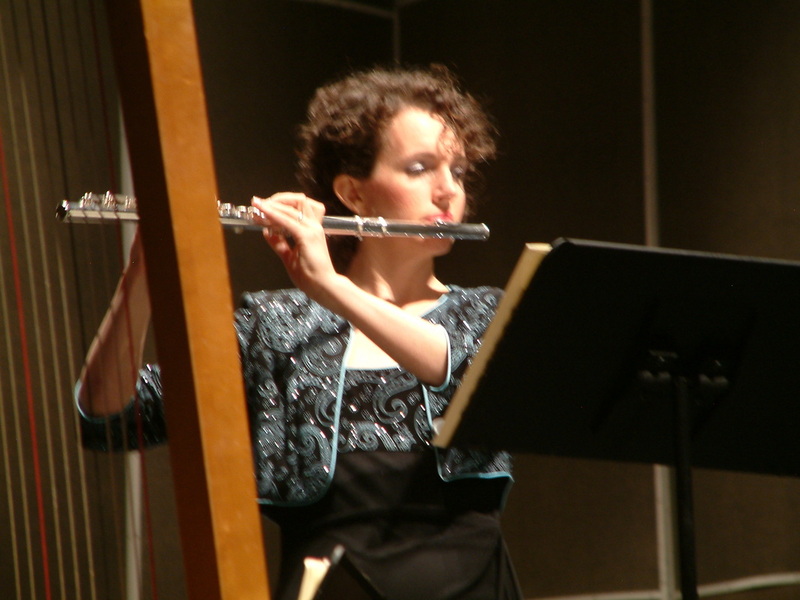 The symphony also provides a few outreach concerts each year to Washington County students. The Orchestra Council, consisting of players, was created in May 2013 with the purpose of growing and improving the symphony. 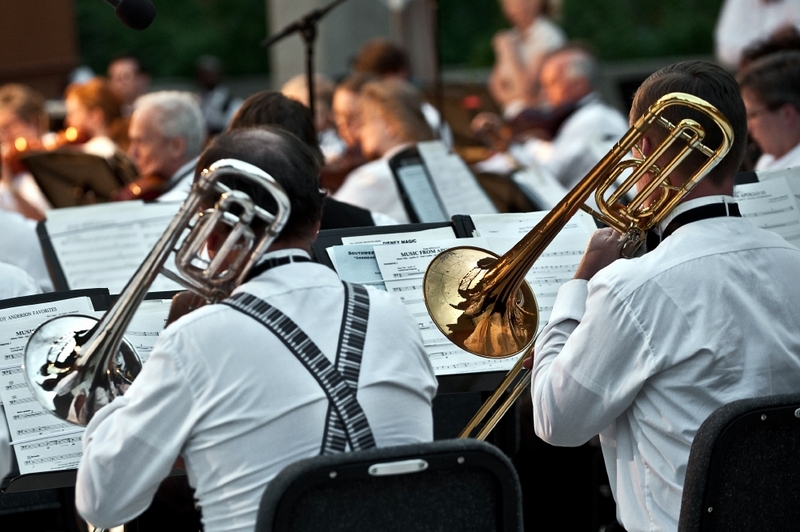 Southern Utah’s only full symphony orchestra, Southwest is primarily sponsored by the Utah Division of Arts and Museums, the City of St. George and Dixie State but has also received support from numerous businesses, families and organizations throughout Southern Utah, including Canyon Media, the Tuacahn Amphitheatre, SunRiver St. George, the Erickson Family Foundation and Cherry Creek Radio. All members, including Caldwell, who is also the director of bands at Dixie State, are volunteers. Some are retirees, some full-time workers, some parents with young families, but all are united by their love for music, each other and dedication to enriching Southern Utah’s community arts. The Southwest Symphony has a diverse and captivating series of concerts scheduled for their 2013-14 performance season, beginning with the Halloween “Spooktacular” on Oct. 25. Highlights include “One Small Step,” a symphonic history of space flight set to music by Aaron Copland, on Nov. 1, the Southern Utah Christmas tradition “Messiah” with the Southwest Chorale on Dec. 1 and 2, the Youth Concerto Classic, featuring local young musicians, on March 28 and a showcase of New Orleans jazz, big band and swing with the Side Street Strutters on May 9. Performances are held at the Cox Auditorium on the DSU campus at 7:30 p.m.
Tickets can be purchased online or by calling the Dixie State Box Office at 435-652-7800. Season subscriptions are available for the dedicated concertgoer, with special discounts offered to students and seniors. A full schedule for the upcoming performance season can be found here. “You won’t hear finer live orchestral music in St. George. Our orchestra members have the highest musical standards and Gary Caldwell always has entertaining and diverse program music. We play in the beautiful Cox Auditorium at Dixie State University and often have a reception following concerts with refreshments,” Batt said. For those who can’t attend a concert or want to hear more from the symphony, recordings of nearly all their performances are available to purchase at their online store. The symphony also hosts the monthly “Southwest Symphony Hour,” broadcast via Classical Music Discoveries, a website dedicated to providing fine orchestra music and accompanying narration to the public for a small donation cost. Membership in the symphony is open to any qualified musician who can dedicate enough time to keep up with the schedule. String players are always needed, and auditions are currently open for all positions. Interested musicians can contact the Southwest Symphony Players at 435-668-2303. Those who are not musicians are welcome too, as they can contribute too by attending a concert, donating money or time or suggesting music for the symphony. Anyone interested in helping the symphony can call 435-879-9130. “If we as a community don’t support the arts in our area, the arts will, one by one, wither and disappear,” Batt said.